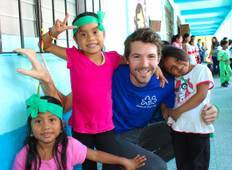 Find a Volunteer/Community trip that explores Central America. There are 12 tours to choose from, that range in length from 7 days up to 28 days. The most popular month for these tours is June, which has the most tour departures. "I came with an Auburn Peace Corps group and we stayed with GIVE. It was an absolute..."
"This trip was Very Fine. The guide and driver were both excellent. 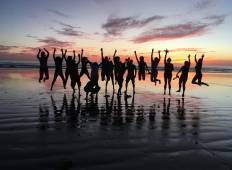 All relaxing 'tour'..."
"My experience with GVI on their wildlife expedition in Costa Rica was simply amazing!..." "The organisation was good, transportation always on time and support great. However,..."
"Best experience of my life! GIVE is a beyond amazing organization, in it is short..."
"When you break it down, many of the individual aspects of the trip weren't brilliant-..."